Against Orlando on Friday, the Wizards showed a lot of heart during the first half. They still lost, unable to either hold on to their first quarter lead or erase their fourth quarter deficit. This was mainly thanks to the outstanding bench performances of Jeff Green and Austin Rivers. On Saturday, Washington did a lot more than they did the night before. They played high-energy basketball for three quarters and ended up victorious over Miami. Yes, it is shocking. Led by great performances from John Wall and Bradley Beal, strong shooting from Jeff Green and Austin Rivers, and an excellent team rebounding effort, the Wizards beat the Heat in Miami by a score of 116-110. For the great result, the Wizards did not look sharp in the beginning. They fell behind 16-7 early due to some truly horrendous defensive effort and uninspiring post-ups from Markieff Morris and Dwight Howard. The opening was marred by the same issues that have frustrated the Wizards throughout this early season: the Heat easily procured open threes, made those shots at an unusually high rate, and collected offensive rebounds on the rare occasions that they missed. The game quickly began to feel like yet another addition to the ongoing stretch of discouraging Wizards defeats, but then things took a bit of an upturn. An 8-0 run led by John Wall got the Wizards back in the game. Though Washington ended up trailing Miami 35-25 after the first quarter, the bad body language that had plagued the team in recent games was not yet apparent. To open the second quarter, Scott Brooks’ famous all-bench unit took the floor to hold on for dear life. Despite their best efforts to turn the ball over on every possession, the bench kept it just level enough to trail 45-35 with just under eight minutes to play in the first half. After that, Bradley Beal checked back in and helped reduce the deficit before halftime. 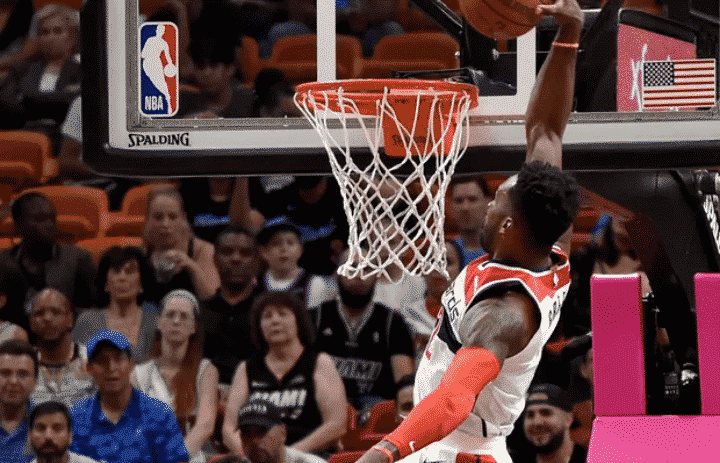 Along with contributions from Jeff Green and Otto Porter Jr., Washington managed to outscore the Heat by eight points over the rest of the half, and reached halftime down just 61-58. Over 34 hard-fought minutes, Green totaled 19 points on 8-of-12 shooting and 10 rebounds. He was a team-high plus-14 for the game and seemed to fit with the starters much better than Morris. At the beginning of the game, the Morris-Howard frontcourt duo was excruciating to watch. The two bigs simply took turns posting up ostensibly weaker defenders, but neither had any success. 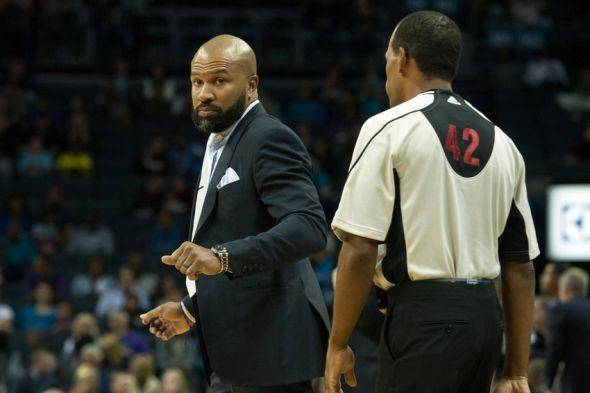 The offense was slow and stagnant, easily stalled by the shorthanded Heat. The Wizards came to life with Green on the floor. He threw down two alley-oops from Wall and looked better switching onto wings defensively than Morris has all season. If Morris keeps having sluggish performances like this, Brooks should consider benching him. If Green continues to give minutes like he did tonight, or at least provide the same level of effort minus the unsustainable shooting, then the Wizards may find more success with their starters. Part of me feels like Green plays better with the starting five than he does with the bench unit. Through 10 games, the Wizards had not yet won the rebounding margin in a single game. To do so tonight, against a Hassan Whiteside-led Heat team and on a tough back-to-back, was an encouraging sign. Howard led the team with 16 rebounds. This included seven on the offensive end which led to the entire team getting after it on the boards. In total, the Wizards outrebounded the Heat 48-38 — a welcome change from the troubling norm.